At a distance of 160 km from Nandyal, 181 km from Kurnool, 229 km from Hyderabad, 263 km from Vijayawada and 527 km from Bangalore, Srisailam is one of the twelve Jyotirlingas of Lord Shiva located on the banks of the Krishna River in the district of Kurnool Andhra Pradesh. It is one of the most important pilgrim centers of Lord Shiva in India and also one of the best places in Andhra. Srisailam is also one of the most popular weekend getaways in Hyderabad. Srisailam is famous for Srisailam Dam and Bhramaramba Mallikarjuna Temple, which is dedicated to Lord Shiva. The sanctuary inaugurates Lord Mallikarjuna in the form of a linga protected by a cobra from three domes. This ancient, Dravidian-style temple with tall towers and sprawling patios is one of the finest examples of Vijayanagara architecture. Although the exact origins of the temple are not available, Satavahanas from the second century AD referenced it. Kakatiyas and Vijayanagara kings have founded several foundations here. The unique feature of this is the combination of Kshetram Jyothirlingam and Mahasakthi (as Bhramarambika) on a campus, which is very rare and unique in its kind. It is said that the great religious leader Aadi Sankara visited this shrine and wrote his immortal Sivananda Lahiri here. Srisailam is a perfect combination of temples and picturesque places. The Srisailam Dam on the Krishna River is one of the largest dams in South India. Mallikarjuna Swamy Temple, Bhramaramba Devi Temple, Akka Mahadevi Caves, Pathala Ganga, Shikaresvara Temple, Sakshi Ganapathi Temple and Mallela Theertham are other attractions here. The sanctuary of Nagarjunasagar-Srisailam, the largest tiger reserve in India covers over 3500 square kilometers. This sanctuary is a natural habitat for various species of flora and fauna. The lush and dense Nallamala Saw is a popular destination for trekking, mountaineering, exploration and forestry research on which the city of Srisailam functions as a base camp. The Mahasivarathri Festival in February / March is celebrated as Brahmothsavam (annual festival). Srisailam offers a wide range of moderately priced and affordable hotels managed by Temple Board, AP Tourism and private operators. Early bookers are recommended during high season, festivals and long weekends. The nearest airport is Hyderabad, 202 km from Srisailam. The nearest train station to reach Srisailam is Markapur Railway Station, 87 km away. Markapur Station is well connected to major cities such as Bhubaneswar, Puri, Bangalore, Kolkata, Machilipatnam, Vasco da Gama, Guntur and Hyderabad. Srisailam is more accessible on the street. Buses connect with Srisailam Hyderabad, Tirupati, Bangalore, Vijayawada, Kakinada, Vizag, Kurnool, Guntur, Kadapa and Nellore. The best time to visit Srisailam is from September to March, while the peak season is from September to December and from February to May. It generally takes 1 to 2 days to visit the main places of Srisailam. The mythology says that Lord Brahma (the god of creation) and Lord Vishnu (the god of Harmony) had a tough argument on who holds the prevalence in advent. To check Lord Brahma and Lord Vishnu, Lord Shiva penetrated the three worlds as an countless pillars of mild, called Jyotrilinga. Lord Brahma and Lord Vishnu was assigned separate instructions, one to the upward path and the opposite closer to the downward path to discover the stop of the mild in either instructions.Lord Vishnu admitted His Vanquishment while Lord Brahma lied that he determined the end of the mild. Hence, Lord Shiva regarded to be the second pillar of mild and proclaimed that Lord Vishnu could be worshipped by means of all until the cease of the eternity and cursed Lord Brahma that He will now not be worshipped in any etiquette. Each Jyotrilinga temples takes one-of-a-kind manifestation of Lord Shiva and the idol of Lingam is considered as a presiding deity in each Jyotrilinga temples. Lingam represents the beginning much less and limitless, which symbolizes the endless nature of Shiva. Sri Mallikarjuna Swamy Temple houses the primary deity Lingam and the temple faces in the direction of the east path.Sri Mallikarjuna Swamy Temple locates the eminent massive idol of Lord Nadikeshwara. Sri Mallikarjuna Swamy Temple is one of the 18 Maha Shakti Pitha. The Shakti Pitha is an area of worship to goddess Shakti, the main deity. It is said that the 4 main Shakti Pithas are comprised of the limbs of Goddess Sati‘s corpse. The frame element or decoration that fell to the earth, is the vicinity wherein the Adi Shakti temples are built. And it is believed that Goddess Sati Devi’s Upper lip has fallen at this place. Srisailam is maximum effortlessly accessible via avenue. Buses connect Srisailam with Hyderabad, Kurnool, Guntur and different towns of Andhra Pradesh. The nearest railway station to attain Srisailam is the Markapur Railway Station that's a one-and-a-half of hour power away. Markapur station is properly linked to all most important towns of Andhra Pradesh and other cities of India. 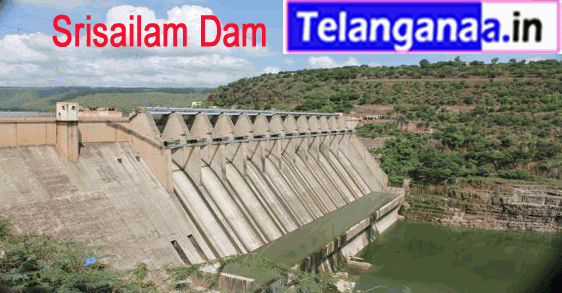 Devastanam management has taken all measures for the piligram's at ease stay on the Srisailam. Visitors will offered diffrent sorts of accomodation ranging from Normal rooms to A.C Suit rooms in various choultries and vacationer homes on the hill.For the benefit of the informal visitors devastanam supplied lockers to keep their luggage. Advance reservation facility is available for all accomodations 20% handiest in Online Booking besides V.V.I.P Cottages. Remaining Accommodation and cottages will provide at Central Reception Office that is positioned at Ganga Sadan. Note : Once the Accommodation booked the booked Accommodation is non-transferable. it can not be cancelled.